The Day of Atonement was a day of grace and compassion YHVH would give the Israelites a “New Beginning” as a covering for their sins. This day was a foreshadowing of G-d’s plan of salvation through the blood of the Lamb- Yeshua and the creation of the new earth where righteousness dwells. 2 Peter: 3:13 13 but we, following along with his promise, wait for new heavens and a new earth,[b] in which righteousness will be at home. If we look back on the seven days of creation, on Day Six beast & man were created, and when Adam & Eve (Chavah) sinned, they needed to have atonement; this Day of Atonement was established then– Day Six. When a man neglects the Spirit of Knowledge, his fallen state becomes more extreme and he identifies more with the beast he hunts than the Spirit of Elohim. The Spirit of Knowledge patiently works and builds understanding in the relationship. The Spirit of Knowledge is a deep mature love that exhibits the awareness of the needs and desires of another. Spirit of Knowledge is a spirit that moved on the sixth day of creation to inspire the creation of Adam & Chavah (Eve)—the mother of all living. The Spirit of Knowledge is also called Ruach Daat, and it is interesting to note that the Hebrew letter “VAV” is the number six, and means nail-to connect or attach. When man sinned, they could no longer continue living in the Garden, nor could they dwell with the Father as sin separated them. They needed to be atoned for to have the “connection” back to the Father, as so do we! Without Adonai’s Plan of Salvation for the atonement of our sins through the death on the cross/tree through our Savior, Yeshua, we would have no eternity with the Father. Father Abba, from the beginning (Tanakh/ Old Testament), He demonstrated “Grace and Mercy” for those who love and obey Him. This also brings in the Philadelphia Church being connected (Dr. Hollisa Alewine, Creation Gospel). WOW! Doesn’t this sound like our bridegroom WHO laid down HIS life for his bride; giving us a way to reunite with forgiveness by her repentance? That is complete sacrificial love. The “Day of Atonement” is a translation of the Hebrew term “Yom Kippur.” It is the second feast in the Fall and the concluding day of the season of repentance which began on Elul 1, the first of the sixth month. It is the only day the High Priest enters the Holy of Holies seeing G-d “face-to-face.” Prophetically, this is the day we will see Him “face-to-face.” The ten days starting the Feast of Trumpets and ending with the Day of Atonement are called the Days of Awe. The door of heaven is opened on the Feast of Trumpets. On Yom Kippur, those doors will be closed. These intervening ten days of Awe are days of intense personal reflection. The weekly Sabbath, which falls during the Days of Awe are known as the Sabbath of Return. It is named after the reading for that day from Hosea. (Moed Ministries). The Feast of Trumpets will be a day of Judgement. The Day of Judgment will be the day that atonement is executed. Where this is Judgment, we hope there is also Teshuva (Return to HIM, repentance). But how do we view “Judgment?” Do we look at it as a big judge in a courtroom wearing a long, over-sized black robe; ready to pass the death penalty on us? Or would we look at it as a day of rejoicing that we are saved because of us having Teshuva? Let’s look at Jonah. I am sure many remember Jonah being swallowed by a whale. But we may have missed some details. Do you think Yonah (Jonah) ran from G-d because he was selfish, fearful, or perhaps there was a deeper reason? 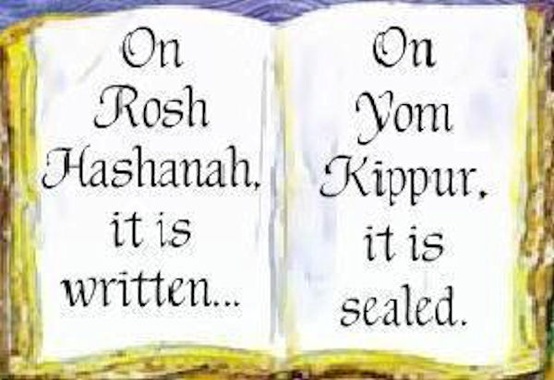 There is another, deeper look into the fundamentals of Yom Kippur in Yonah. Yonah was called by G-d (Hashem) to go to Nineveh in Tarshish and tell them to repent or they will be destroyed. But he ran away instead. Did he really think he could get away with it? Can anyone, especially a prophet, actually get away with running from G-d? What is the lesson from the gourd and the worm? Why did Yonah want to die before Nineveh was forgiven? Why did he tell the pagan sailors to throw him off of the ship in the storm? Why didn’t he want them to be forgiven? Nineveh was the capitol city of Assyrians and the enemies of the Jews. They had plans to make war to exile the Jews. As Yonah (Jonah) sat up on the hill in hopes they didn’t repent and for G-d destroy them, he made himself a Sukkah (booth/tent) to sit under for shade. So if he had shade already, why did G-d place a guard – kikayon plant over (cover) Jonah’s sukkah? Elohim needed to save Yonah from his evil (ra’ah). Ra’ah was first mentioned when G-d wanted to send Yonah to Nineveh because they had done evil and were going to be destroyed. Then ra’ah mentioned during the storm when the sailors tossed him into the sea. Then it’s mentioned again when Nineveh repents from their ra’ah, from the evil ways. The next time it is mentioned when G-d see’s they repented from their ra’ah-evilness, and makes a teshuva! Then Elohim relents the ra’ah HE was going to place on Nineveh. Then there was a domino effect when Yonah (Jonah) felt a terrible ra’ah and needed G-d’s protection. Yonah became very angry towards G-d; telling G-d that HE changed His mind on doing ra’ah to the people. Where have we heard those words before? It was in Exodus when Adonai revealed to Mosheh (Moses) His 13 traits of compassion on Mount Sinai after the sin of the golden calf. It was that grace and mercy that saved the Jews and mixed-multitude from that destruction. But for some strange reason, Jonah threw those same words back to G-d—in a negative way—changing that phrase by using ra’ah in the words of his statement leaving out “I am a G-d of Truth (Amitai-Truth)”. Jonah was the son of Amitia, which means son of Truth. What is the son of truth really saying? Was Jonah looking for Divine Justice? When Elohim told Yonah/Jonah to go to Nineveh so that they could tell him (Jonah)and G-d they were sorry and repented, G-d would drop the charges. Life no longer mattered to Jonah any more. He wanted them to pay for their evilness. Jonah was the son of Truth. How could he see “letting them off the hook” as being Truth? Looking back at the story while he was on the ship, he was on the lowest level; sleeping in the height of the storm. Jonah ignored G-d when YHVH called out to him. He had nothing to say to Adonai. The sailors cast lots. He tells them to throw him overboard. He didn’t know there was a fish (whale) in the water about to swallow him into its belly. In the belly of the whale, Yonah still wanted to die, but Adonai had different plans. all your surging waves passed over me. But I will again look at your holy temple. the deep closed over me, seaweed twined around my head. what I have vowed, I will pay. 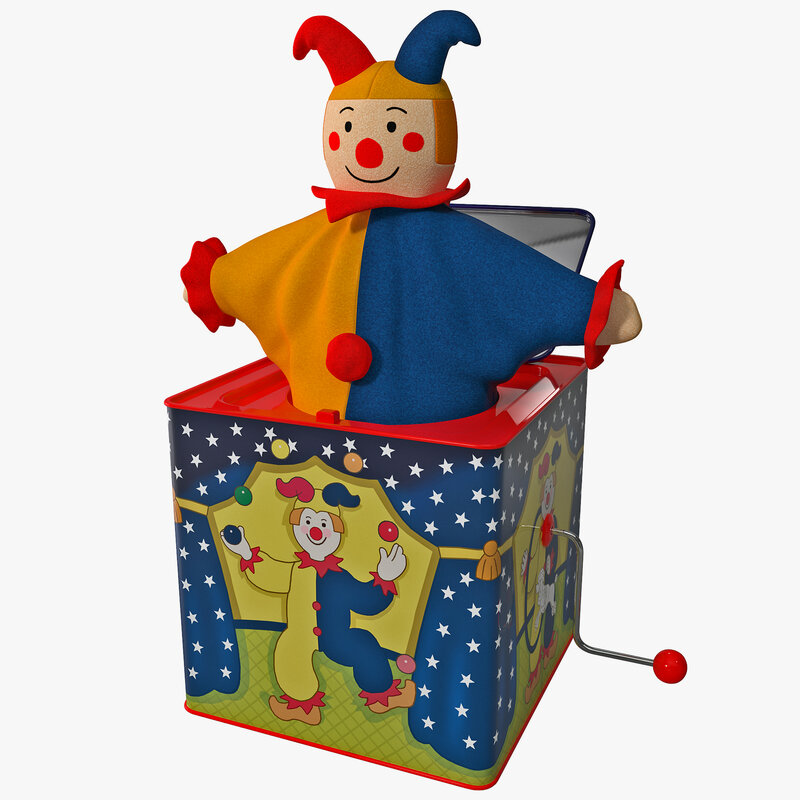 11 (10) Then ADONAI spoke to the fish, and it vomited Yonah out onto dry land. Jonah was saved from death by God and his prayer reconciles him, but Jonah hadn’t yet repented, nor had he changed his perspective. 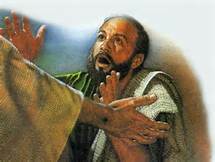 He saw his nightmare coming true after G-d told him to go to Nineveh and accept their apology (500 miles from shore). Nineveh repented, had Teshuva,and G-d relented the ra’ah that would have destroyed them. Jonah told G-d it would have been better that G-d killed him as it would be better than to live. HaShem remained quiet and gave him a lesson with the worm instead. So back to Jonah sitting in his sukkah and the plant to create the extra shade (covering), even though he already knew that Elohim already spared Nineveh. That night, when the worm ate the roots of the plant, and the plant withered up and died, Yonah(Jonah), once again, wanted to die. Why was he so upset over the plant dying? What did the plant represent, justice or compassion? It was the pure expression of love, and HaShem wanted to send Yonah (Jonah) His expression of love and compassion. So if the plant giving shade is the expression of love and compassion, what is the expression of the worm? JUSTICE! Jonah was upset for a plant that didn’t belong in the world died when it didn’t deserve to die; yet, he wanted to live in a world that had justice. But he also wanted to live in a world with compassion. Jonah soon begins to understand that he had compassion on a plant that he didn’t even create; yet, he didn’t have compassion for Nineveh Whom his Creator created. 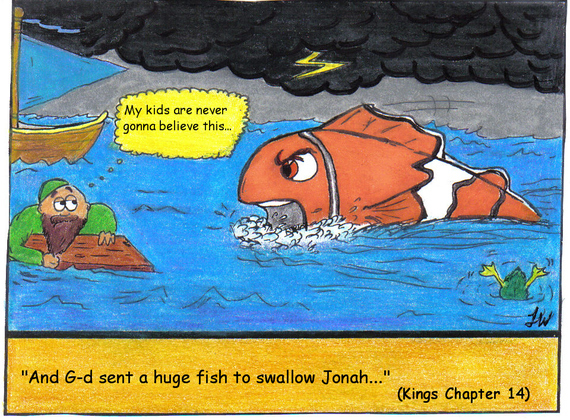 Where is Teshuva in this story with Jonah? 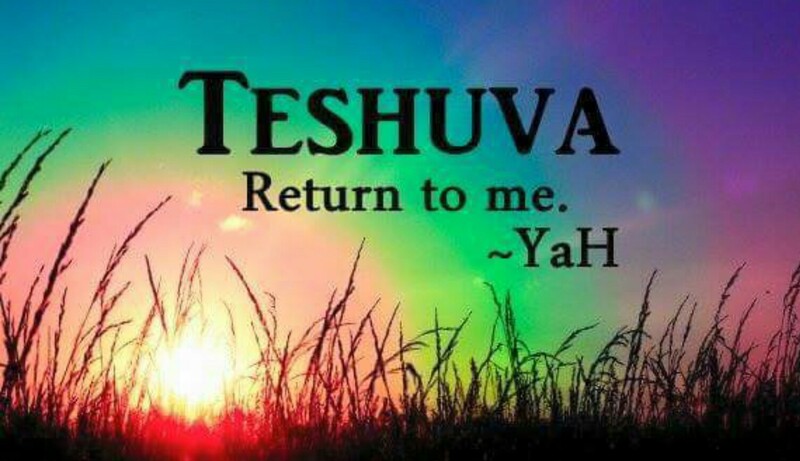 Teshuva doesn’t change the past, it will only change the FUTURE.It is to turn back to the Father. Nineveh, like the plant, may not deserve to be here. Nineveh was very evil indeed, but because they had Teshuva, look at what they could become! Yes, their sins were forgiven.They couldn’t change their past actions, but they could change their future. For Your sake O’ G-d of Life. As we enter Yom Kippur, we need to acknowledge that even though we can’t change our past we can reflect on our past, reevaluate our potential for the future; giving all Glory to Abba. We need to seek Him for forgiveness (Teshuva)of our sins, ask Him to help us have sacrificial love for others, be forgiving (even if they don’t deserve it), to honor HIS Word, and to follow HIS WAY. When we love HaShem’s creation, we can nurture it, have unity, and restore healing. Yonah (Jonah) was in the belly of a whale for 3 days and 3 nights which was a foreshadowing of our Savior and Redeemer, Yeshua. He was in the the heart of the earth for 3 days and 3 nights. Yeshua, died on the tree/cross for our sins. He is our atonement and testimony through the shedding of HIS blood. We are forgiven by repenting/teshuva for our sins. Yeshua died, was buried and resurrected on the 3rd day so that we may have true Salvation.